Ajay Devgn starrer "Baadshaho" has been in news over its casting and both Kareena Kapoor Khan and Priyanka Chopra are not part of this project. “She (Kareena) was approached for the film. She had liked the idea as well. But things did not work out due to date issues. We haven’t finalised anyone yet. We are still working on the script,” sources said. Actor Ajay Devgn starrer “Baadshaho” has been in news over its casting and both Kareena Kapoor Khan and Priyanka Chopra are not part of this project. 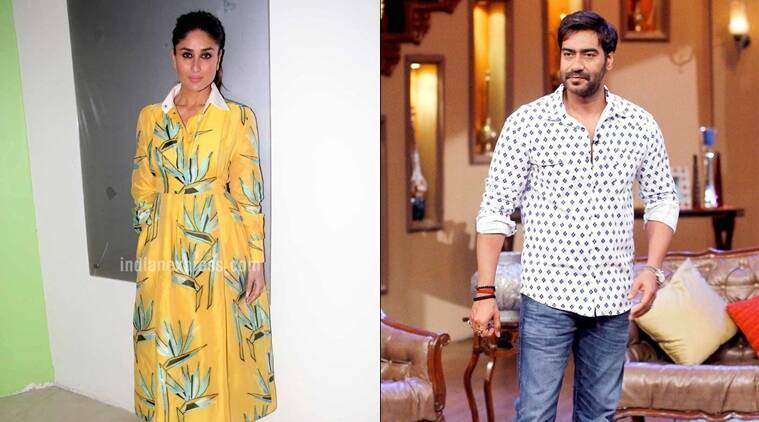 Speculations were rife about Kareena teaming up with Ajay for “Baadshaho”. Earlier actresses Shruti Haasan and Lisa Haydon were going to be part of this project. T-Series (producer) brings back the intense actor – director pair of “Once Upon A Time in Mumbaai” Ajay Devgn and Milan Luthria in “Baadshaho”. Both Milan and Ajay have done three films together “Kachche Dhaage”, “Chori Chori” and “Once Upon a Time in Mumbaai”. The film is likely to go on floors by May end or early June this year. “It’s a big release so we need to start on time and get it (shooting) finished by October. The film releases in January (2017) so we need two months for promotions,” the source added.